This paper based on empirical research attempts to deal with the question of media imagination and the marginalization of women migrants in Indian Megapolis. 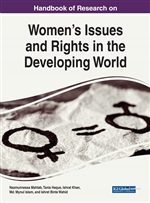 Foregrounding on the emerging social fact regarding the urban settings catering to one-third of country's population as migrants of which more than two-thirds are women categorically from non-urban rural areas. Further, in the backdrop of the internet and the new media penetration of rural population by half of total usage in India by 2020, the functions of the mediated imageries of the sexes need to be re-examined within the rural-urban continuum for a better clarity of media-gender relationship. The popular media imageries many of which disseminate unrealistic, stereotypical, and restrictive perceptions resulting in portrayal of women in stereotypical ways contradicts the general perception of non-urban women-emancipation through consumption of media texts which is highly urban centric. Such contestation of media effects raises a need to investigate how women migrant to the urban setting consider, analyse, internalize and utilize such portrayal of themselves in the media thus reflecting the actual consumption pattern of media texts and gender roles fixations. This paper particularly looks at an unexplored area of new media consumption within the non-urban migrants to Indian metropolis. It is an attempt to locate affordable alternative communication technology to understand the renewed social interactions of women migrants via virtual social networks in urban centres and how it infers and shape their social identity formation. Understanding urban space in India in the context of providing home to one-third of country’s population as ‘migrants’ of which more than two-thirds are women categorically from rural areas indicates two annotations. First, that the spaces and essence of contemporary megacities in the global-south like that of Delhi, for example, have developed into a different urban meaning with reference to classical theories of urbanism and second, as much as the city has changed, so have the imageries engulfing the urban dwellers especially women migrants. In other words, the transforming media conceptualize, construct and finally deliver these images to the migrants. The broad argument I wish to present is that the valency of voluminous media sources processed by informal accessibility via unrestricted virtual portability leads to an increase in spontaneous dissemination of corresponding mediated messages within an urban space has become a constitutive frame for a distinctive mode of social experience for non-native city dwellers such as rural women migrants. However within this system of creating an urban experience, the media watchful of not disturbing the market forces and the state, and generates a coverage that simultaneously propagates existing power relations and confines alternatives to the dominant social system. I argue that rather than perceiving media as something separate from the city, the medium which ‘represents’ urbanity by transforming it into an image, the spatial experience of contemporary social life in urban setting arises over a complex course of co-constitution between urban structures, social practices and media feedback. Thus, for having a holistic understanding of women migrants’ social experience in the city and the corresponding construction of her social identity formation, an investigation covering mediated imageries and its relationship with rural women migrants is a must.